The old axiom that beauty is only skin deep but the true beauty of a person resides in the heart is true. Physical beauty fades with time. Dogs come into our life as bouncing puppies with tons of life in them. They are with us in good times and bad and see us through all of them. As they age dogs lose a lot of that mobility that was ever present when young. Older dogs love going on walks but only shorter. Older dogs love to fetch a ball or a Frisbee but are not capable of jumping five feet in the air to get it! They stayed the course with us and they deserve our complete and unwavering respect. The majority of the problems associated with aging in the dog have to do with some form of arthritis. The most common source of joint pain is in the hip (coxofemoral) joint. As the dog ages cartilage wears away. This allows bone to grind against bone. Combined with atrophyAtrophy is a decrease in size of tissue not secondary to a disease process. An increase in the size of tissue usually not secondary to a disease process is called hypertrophy. This is the direct opposite of atrophy. The most common form of atrophy is called "disuse" atrophy. If you have a cast on your arm for 6 weeks those muscles in your arm do not get used. They shrink in size. Once they extend and contract again by normal use they increase in size. of the quadriceps in the thigh region ambulating becomes a painful experience. Just the simple act of jumping up on a sofa can cause acute pain. In severe cases a dog is unable to get up to go to the bathroom outdoors or even to its food or water bowl. There are very few, if any, benefits of being overweight. Weight control is difficult as pets age. Excessive weight can exacerbate many medical conditions. One thing that layers of fat do do is insulate the body in extreme cold conditions. As the animal enters senior status a lot of that fat disappears. Like elderly people, it makes older dogs feel chilly in a room that is comfortable for other dogs or people. Fat also cushions and supports joints to an extent. Take away the fat layer and you have bone on bone lying on linoleum, wood or tile surfaces. For older dogs that is quite uncomfortable. Behavioral or medical conditions seen in older dogs can make life around the home dangerous. Older dogs will have some form of immature or mature cataracts. This decline in visual acuity can be dangerous around stairs or in a split level home. Falls down stairs can result in serious injury to an unprepared animal. Many older dogs will have vestibular or balance issues. This also makes it dangerous to be near stairs. 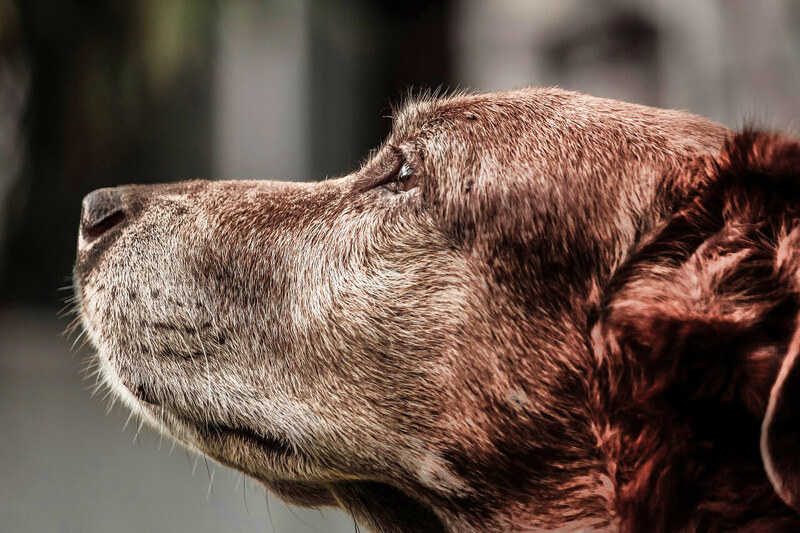 Senior pets will often be dealing with some form of a cognitive dysfunctional issue. Animals are very similar to human Alzheimer’s patients. Let out in the yard they can wander away and get injured by a car. 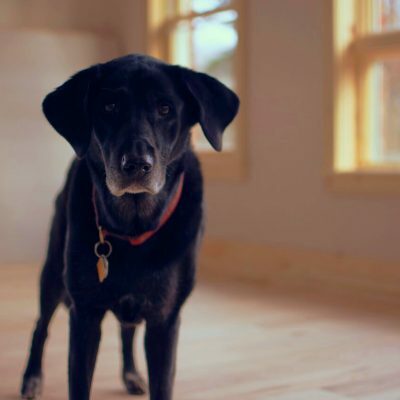 There are many products that be purchased or changes to a home environment that make it much easier for an older dog to navigate. Having practiced in Ohio and Florida I can tell you that older pets have a much easier time living in an always warm climate like Florida. Cold, northern winters and damp fall weather magnify clinical signs of arthritis. Dog Sweaters- Apparel is available for any size of dog that can help to insulate older dogs during inclimate weather or cold rooms. Employing them during short walks around the block in winter weather makes a big difference. Sort of like people wearing winter jackets. Anti-inflammatory Products- These prescription and non-prescription products will make pain easier to deal with. One of the most popular canine prescription drugs is Rimadyl® (carprofen). It is available by prescription only. YOU MUST have your dog’s liver enzymes checked every 4-6 months or so while on this drug. Glucosamine and Chondroitin with MSM is also important. The main point is that these compounds need to be taken BEFORE major signs of arthritis arise in a joint. One of the most popular brands is Dasuquin®. There is a 3 week loading dose but it is very effective. Ramps- These are great items to install around entrances to homes and to car hatchbacks. Rather then attempting to jump up a set of stairs or into a hatchback ramps allow the pet to just walk up a mild incline. Slings- Many older dogs have difficulty getting up in the morning or after sleeping due to arthritis. Make it easier for the animal to get around by employing an old bed sheet. Fold or wrap it length wise and put the sheet under the back abdominal area. Use your hand(s) to help support the dog’s weight. This dramatically makes life easier for the animal. A “lift up” harness is also available at stores or online. Gates- Employ these around the home to prevent dogs from injuring themselves around stairs or to keep them confined to a particular part of the home while you are away. Appropriate Flooring- This is much easier up north where carpet is popular. That surface is much easier for an animal with arthritis to walk on. Tile and hard wood floors are very difficult for older animals to move around on. For them it is like walking on ice skates. They can fall and injure themselves. No slip paw-wear is also available if your dog will tolerate them. Thicker Bedding- The worst thing for an older dog with arthritis and decreased amounts of body fat is sleeping on hard surfaces. Buy specially made beds that are cushioned with extra thick, comfortable material. Your dog’s hips will thank you. Hard surfaces such as concrete floors will lead a dog to stand up by using its elbows. This will lead to hygromas (joint issue) or joints that have to be tapped to remove excess joint fluid (synovia). Elevate Food and Water Bowls- Many older dogs find it difficult to get into a position to eat or drink water. This process is known as prehension. To get into an appropriate position the dog has to stoop. This strains the cervical spinal cord. Elevate the animal’s bowls on a stack of books or newspapers so that the dog can walk up to them without stooping. This technique is invaluable for those dogs with back problems (diskosponylosis). Bodily Functions- Some animals find it difficult to make it outside to go to the bathroom. 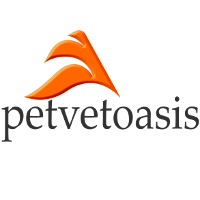 Make it easier by buying special urine absorbing pads for your pet.